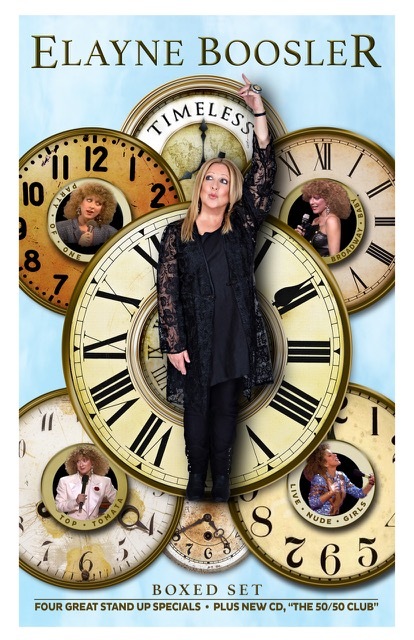 5 Questions with Comedian, Animal Activist, and Puzzler Elayne Boosler! Welcome to 5 Questions, our recurring interview series where we reach out to puzzle constructors, game designers, writers, filmmakers, musicians, artists, and puzzle enthusiasts from all walks of life! And I’m excited to welcome Elayne Boosler as our latest 5 Questions interviewee! If you haven’t heard of Elayne Boosler from her decades-long stand-up career — including being named one of Comedy Central’s Top 100 Comedians of All Time — you’ve certainly seen her work in radio, television, movies, and print. 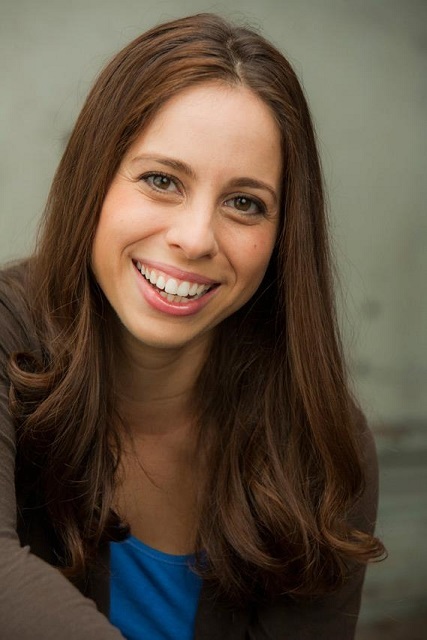 Elayne is a triple threat — comedian, actress, writer — and the founder of Tails of Joy, a non-profit organization dedicated to rescuing and caring for animals. Elayne was gracious enough to take some time out to talk to us, so without further ado, let’s get to the interview! 1. How did you first get into puzzles? I’ve always had a touch of dysgraphia/dyslexia; my cursive writing (as they called it back in the 1800s) was always illegible, and when banks still checked signatures on checks I’d get about five calls a day. “But they are written on the same day, three checks in a row, and the signatures don’t match at all.” I know. I can read and write upside down and backwards. I remember driving in the car with my parents when I was really little, and reading a sign. I said, “Bar. R-A-B. Bar.” I can also sing any song you can throw at me, backwards, which once saved my life when I went to a school to talk to twelve-year-olds. I guess wordplay was the natural next step. 2. Now that you’ve made a New York Times-level crossword of your own, what was the most surprising part of the process for you? What did you enjoy? I never passed any year of math in my entire life, and basically, making a crossword is math. The gentleman I made the puzzle with, Patrick Merrell, was a saint. If they threw some hyperactive puppy at me who thought she knew how comedy worked and said, “Write comedy together!”, and she emailed useless things to me three times a day, I’d kill her. Patrick was an unbelievably patient, wonderful, and talented teacher. Though I’ve done crosswords all my life, as a layperson I never got the nuance of just how specific the theme clues have to be. It was mind-boggling. I think I sent Patrick clues and answers for a full month before he finally got to spell “water” in my hand. As an added bonus, Patrick wasn’t just brilliant about the words, he’s a crossword artist. His desire for grid symmetry and beauty was fascinating. I enjoyed all of it. Even the frustration. Do you ever see yourself collaborating on or constructing another crossword? I would love to collaborate on another puzzle. As you can imagine, after several months of thinking of nothing but themes, clues, and answers, I could not just turn my “crossword mind” off. So I have a LOT of lists of themes, clues, and answers, and I hope I get another opportunity to use them. 3. Many people know you from your trailblazing stand-up comedy career, or your appearances on shows like Night Court. But these days, you’re more synonymous with your charity work protecting animals. How did you get started with Tails of Joy? I’ve always loved animals. I always knew I wanted to be a rescuer. Being on the road for forty-six years, I got to meet lots of rescuers in different states, and looked for a way I could have the most impact. What I learned was, three old ladies in Ohio will save more cats and dogs in a year than the entire bloated, overgrown Humane Society of the United States (HSUS) which has $300 million and is NOT a rescue organization! I knew the “little guys” needed someone to keep them from falling through the cracks. 4. What’s next for Elayne Boosler? Thanks for asking. I have a boxed set of four of my specials, plus a new CD — Timeless — coming out on Comedy Dynamics on August 31st. I’m featured in the new season of “CNN’s History of Comedy”, Sunday nights at 10pm, and I’m featured in HBO’s new documentary, “Robin Williams: Come Inside My Mind”. I have a new piece up at CNN.com, “Elayne Boosler: Saying ‘Joke’ is no Excuse for Offensive Behavior.” And I spend hours every day doing rescue. 5. If you could give the readers, writers, and puzzle fans in the audience one piece of advice, what would it be? I’m sure they already know this. When you look at a puzzle and you can’t fill in even one word, and you walk away, you come back later and sit down and fill it all in in five minutes. What does that tell you? The subconscious is always working, it’s always carrying out your directives, conscious or not. So it’s very important to always try to speak in the positive, because you are actually giving your brain orders. In comedy, I have never said “I killed” or “I died”. I don’t say that. If you want to remember your keys, don’t say “I hope I don’t forget my keys”, because your mind hears “forget my keys”. You have to say, “I hope I remember my keys”. In essence, the subconscious has no sense of humor, so be careful how you program it. 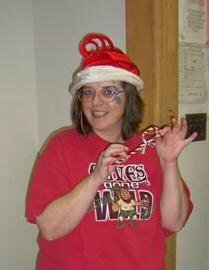 A huge thank you to Elayne for her time. You can follow her on Twitter (or visit her website, Elayneboosler.com) for updates on her many MANY ongoing projects, and be sure to visit Tails of Joy to explore all of the wonderful work she does for animals. 5 Questions with Christina Aimerito of Girls’ Game Shelf! And I’m excited to welcome Christina Aimerito as our latest 5 Questions interviewee! 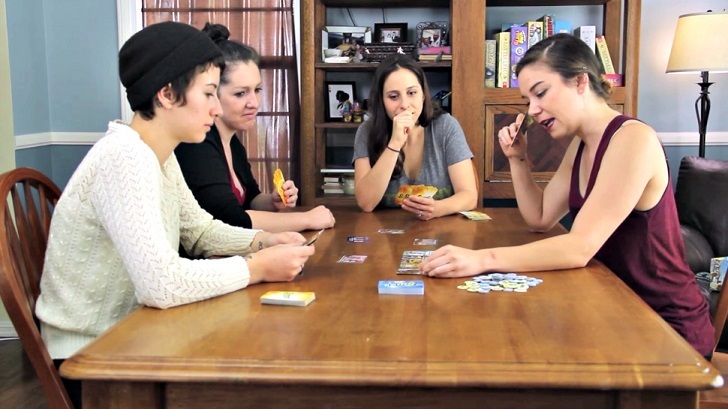 Christina pulls double duty as both the creator and host of Girls’ Game Shelf, a YouTube series all about board games and card games. As the host, Christina introduces the game and explains the rules before she and a rotating panel of female players put the game to the test. It’s the perfect one-two punch to learn about new games and classics alike, as you get the one-on-one how-to at the start, followed by a strong sense of what the actual gameplay looks and feels like. Couple that with insights from the other players, and you’ve got a recipe for a terrific show that highlights the best of both games and communal play. Christina was gracious enough to take some time out to talk to us, so without further ado, let’s get to the interview! 1. How did you get started with games? I played games when I was younger, but the normal fare: Taboo, Scattergories, Stratego, MasterMind, and other classics. I’ve always had a fondness for games. But I started playing more modern games a little later in life. My husband wanted to get me into it, so he introduced me to Dominion, which was a pretty wise choice. I’ve always liked collecting things and had never played a deck-building game before. So yeah, that got me hooked and opened the door to the world of board games. 2. What, in your estimation, makes for a great gaming experience? What separates a good two-player game from a good group game? I enjoy games the most when there’s a good mix of strategy and conversation. A good two-player game and a group game still require those elements for me since I play games to interact with people. The difference for me in two-player vs. large group games is more of a personal one. When I play a 2-player game, it’s usually to play with folks who are competitive and like strategy games. But in the group I play with, we have a pretty big variety of gamers. Some of them enjoy RPGs, some like heavy strategy, and often we have a newcomer to the table. The unifying element I’ve found is a game that forces people to interact with others during their turn. Games that lead people into analysis paralysis aren’t ever as exciting, and when there’s a group game we like to keep the energy up. Social deduction games, or games like Cosmic Encounter or Sheriff of Nottingham, are great because they involve everyone around the table. 3. You have a film background and a theater background. How do those aspects of your experience contribute to the process of making GGS, either in terms of production or in terms of being an on-camera personality? Those aspects absolutely help me behind the scenes. In fact my background in film and theatre are what led me to create the series. I wanted to create a show so that I could get back in that creator headspace. I’m happy when I make things. Choosing a show about board games was a no-brainer because it was marrying the two things I loved most. 4. What’s next for Girls’ Game Shelf? Well, we just started a podcast, so that’s the new baby right now. If that goes well, I’m very eager to start working on an RPG series with the girls. Whatever the case, Girls’ Game Shelf will certainly continue to make the original series, and hopefully down the line we’ll have the means to release more than one episode per month. 5. If you could give the readers, writers, aspiring YouTubers/podcasters, and game fans in the audience one piece of advice, what would it be? For me, the first and most important thing is to be a good listener. Putting your voice out there takes guts, but listening takes discipline. It separates the good content from the stuff that feels heavy handed or forced. Truly listen to your peers, people you agree with, and people you disagree with in regards to the content you’re creating. This is part of doing your due diligence, but it’s also part of being a strong voice and a good host. I am constantly working on this for myself. Luckily, playing board games is usually a good training ground for it. And secondly, be completely yourself. THAT is what people want to see. And if you’re trying to be anything but that, it will be so obvious. If you’re going to be podcasting or YouTubing, and feel anxious about this, then I highly recommend recording yourself in a few private episodes, just so you can gain that comfort before you share your voice with the world. A huge thank you to Christina for her time. Be sure to check out Girls’ Game Shelf on YouTube, and to keep up on all things GGS on Twitter. To support this terrific show, you can check out the GGS Patreon page, which is loaded with bonus content, raffles, and more! And over the last month or so, we’ve been introducing you to some of them. You might not recognize every name at first, but rest assured… they’re all doing amazing work on these puzzles and deserve a little time in the limelight. In this installment, allow us to introduce you to constructor Pam Klawitter! I guess you’d say being a crossword constructor is my post-teaching “retirement career.” I’ve always loved all types of puzzles, and after spending many years teaching gifted students who are masters of all things word-related, I was sure it would be a simple task to teach myself how to construct a crossword puzzle. Not true! It was evident in my earliest puzzles, that I needed lots of assistance. I give full credit to the editors that stuck it out and guided me through the process. I persevered and finally had my very first puzzle published in The Washington Post in 2007. That was followed by my first Los Angeles Times and New York Times puzzles in 2008. After that, there was no going back! It surprises me now to say I’ve had over 400 puzzles published in a variety of venues. 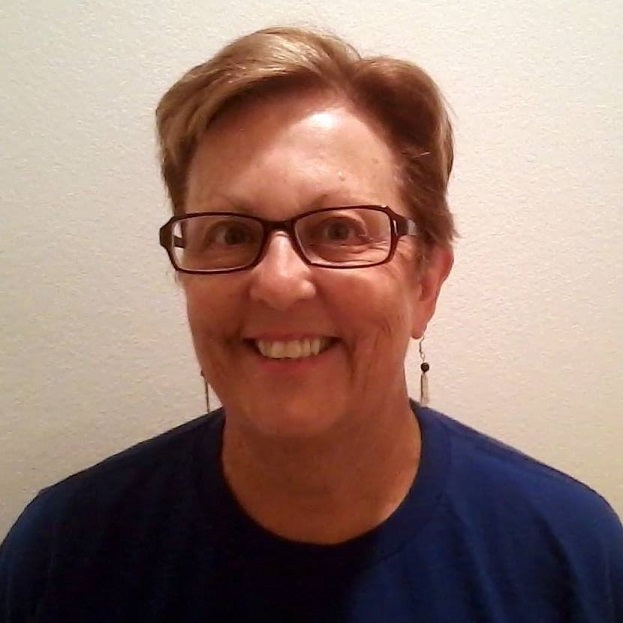 Being a regular constructor for The Crosswords Club is how I began working with Patti Varol. With 100+ puzzles under my belt there, I am really happy that she asked me to be a part of this new group. What problems have you encountered in constructing crosswords? I would have to say that, for me, coming up with the themes has always been the easiest part of this journey. Getting exactly the right fill — not so much! Thankfully, Patti and several other editors have had the patience of Job in allowing me to keep at it until I get it right. While many words could fill the boxes, it’s hard to find the perfect mix of interesting yet not obscure nor too difficult fill. That’s been a real learning process! Starting out, it was hard to find cohesive themes, but now that I’ve been at it a while, I find that theme ideas are EVERYWHERE! This is evidenced by the stacks of scraps of paper and sticky notes with ideas scribbled on them that surround me like Pig-Pen’s cloud of dust! 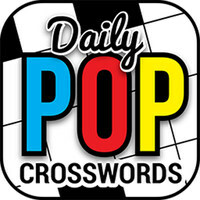 What do you enjoy about Daily POP Crosswords? I also love the pop culture aspect of these puzzles, which allows for all sorts of up-to- the-minute themes. I’ve learned so much! Book Smarts and TV Time are probably my favorite categories. A huge thank you to Pam for her time! Be sure to keep your eyes peeled for her puzzles in the Daily POP Crosswords app, free to download for both iOS and Android users! 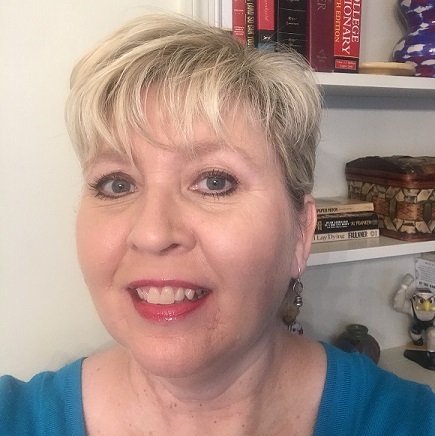 In this installment, allow us to introduce you to constructor Bonnie L. Gentry! I sold my first puzzle in 2003 to The Los Angeles Times after I discovered a community of crossword constructors on the website Cruciverb.com. It had style sheets and contact information so I gave it a shot. I have since been published in The New York Times, Wall Street Journal, USA Today, Crosswords Club, and several crossword books. I also construct a two-page newspaper crossword each Thanksgiving for numerous newspapers. I’m only a casual solver. I enjoy constructing much more. I tried only twice to compete in a national crossword tournament (ACPT), but ranked miserably. Switching to judging was far easier. I love doing the research. I learn something new for every theme I do. I like that it’s a learning experience for me as both a constructor and a solver. This is quite different than traditional crosswords that rely more on wordplay. Patti Varol is an amazing editor. Her insight makes me a better constructor. Also the volume of work she does is just staggering. I love that the majority of constructors are women, although there are some great men as well. I also solve the puzzles on Daily POP Crosswords every day. They are simple enough for any level but they all give an “Aha Moment” when I solve them. I enjoy sports themes the best. I’m a big fan of all sports and I’m an enthusiastic spectator. Football is probably my favorite sport. When I do Book Smart themes, it introduces me to books I hadn’t thought much about and has led me to read new books. A huge thank you to Bonnie for her time! Be sure to keep your eyes peeled for her puzzles in the Daily POP Crosswords app, free to download for both iOS and Android users! 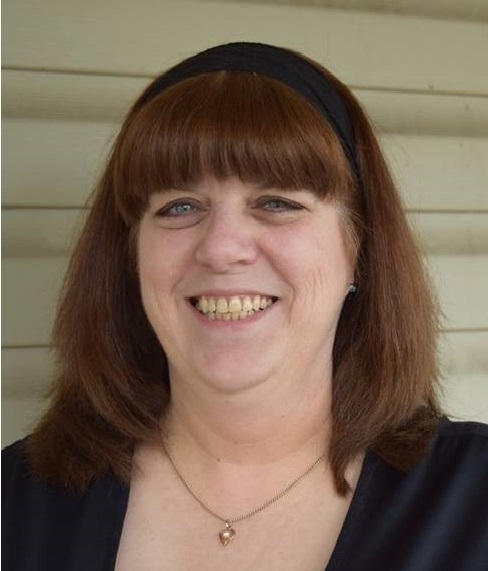 In this installment, allow us to introduce you to constructor Angela Halsted! I solved crosswords off and on when I was a kid but it wasn’t until 2006 that I got obsessed with them. I don’t even remember what puzzle I was doing, but I was Googling for an answer and came upon the Rex Parker blog. I loved the blog and I loved all the commentary, and that made me want to solve puzzles every day so I could participate. The first time I decided to comment on the blog, I was required to have a username. I wasn’t very creative and I just felt like I was in a hurry to share my thoughts, so I typed in “PuzzleGirl.” Pretty boring. But it’s stuck all these years! I submitted my first puzzle to The New York Times in December 2008. It was… terrible. But I knew it was something I could be good at if I kept trying. My first published puzzle was a collaboration with Michael Sharp in The Los Angeles Times in January 2011. Since then, I have had puzzles published in The New York Times, The Washington Post, The AV Club, The Wall Street Journal, and other venues. Most of those are collaborations with Doug Peterson, though I’ve also collaborated with Jeff Chen and Erik Agard. The part I have the most trouble with when constructing is coming up with the theme. I think that’s why I collaborate so much. For me, it’s a lot easier (and more fun) to brainstorm and hone a theme with a partner. Oh, speaking of themes, one reason I like writing puzzles for Daily POP Crosswords so much is that the themes can be very simple, which I can handle! Also, I feel like I’m getting a lot of practice generating themes so maybe I’ll get better at it with puzzles for other venues too. But the best thing about writing for Daily POP Crosswords is working with Patti Varol. She is a phenomenal editor. She is so smart, so efficient, and so motivated. I have a blast talking with her about puzzles and I’m learning a LOT from her. I also really love being a part of this project because the puzzles are accessible to new solvers. That’s who these puzzles target and I hope they appeal to people who might be really interested in trying crosswords but are intimidated by harder puzzles. When I had my first Friday themeless published in The New York Times earlier this year, I couldn’t really distribute it to my co-workers, you know? It was hard and probably would have just made them feel bad about themselves. But I’m constantly telling people about Daily POP Crosswords because I know the puzzles are accessible to new solvers and there’s a possibility they’ll get hooked! I guess the last thing I want to mention is that Patti has assembled a great group of constructors that includes many women. She is also very open to themes about women. And I like that because crossword publishing and construction are generally male-dominated. Now, don’t get me wrong. Some of my best friends are male crossword constructors. But it’s nice to see someone branching out a little. 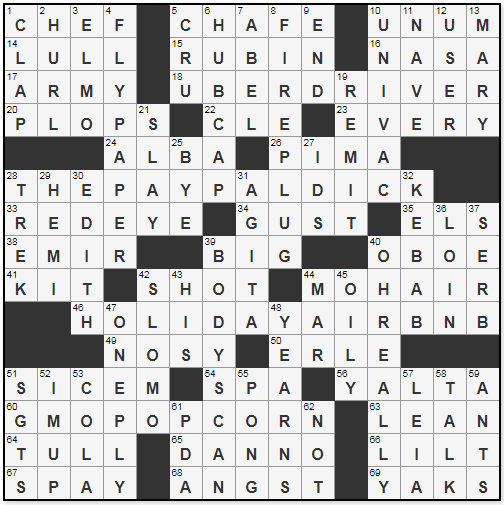 I hope Daily POP Crosswords will inspire women solvers to take up constructing. That would be amazing. A huge thank you to Angela for her time! Be sure to keep your eyes peeled for her puzzles in the Daily POP Crosswords app, free to download for both iOS and Android users!